“Ransomware” is a type of malware that tries to extort money from its victims by hijacking the victim's computer in some way and holding it to ransom. It renders the computer unusable until a ransom amount is paid to the extortionist. And it is very unfortunate that, in many cases, even after the ransom is paid, the victim's computer is not released. Ransomware, as we know it, is gaining popularity at an immense rate among the most notorious cyber-criminals of the world. It isn't just a virus, it's a damned good game plan to becoming a millionaire in a matter of months! This chapter details what ransomware is, how it originated, which families of attacks it falls under, how ransomware is classified, the impact of ransomware on a global scale, the life cycle of a typical ransomware attack, mitigation and containment strategies, trending strains of 2017, and future trends in ransomware attacks. In future, these attack types will dominate our industries and wreak havoc, destroying life and property, if left unchecked. A long time ago (in a galaxy far, far away…), before the world saw what the world wide web was, before the advent of email as we know it, before the Internet of Things, when people shared data and programs on meagre floppy disks through the postal service, a man invented a form of blackmail that would take the world by storm some three decades later. That man was Dr. Joseph Popp, an evolutionary biologist with a degree in anthropology from Harvard. Digital Revolution: Also called the third industrial revolution, it is the era of digital electronic equipment that started around the 1980s and is still continuing. Ransomware: A type of malware that tries to extort money from its victims by hijacking the victim’s computer in some way and holding it to ransom. Cryptovirus: A term used by Adam Young and Moti Yung to describe malware that encrypts the victim’s important data before demanding ransom to decrypt it. 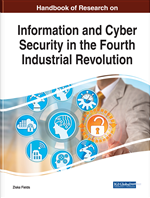 Fourth Industrial Revolution: It is the ensuing era of computing, with the amalgamation of emergent technologies like cognitive and machine learning, artificial intelligence, internet of things, wearable technology, biotechnology, 3D printing, smart cities, etc., to create a smart world where everything communicates with everything else intelligently, with the purpose of achieving the unthinkable. Trojan: A type of malware that impersonates legitimate content to gain entry into a victim’s system. It gets its name from a Greek myth involving a wooden horse in the Battle of Troy. Worm: A malware that spreads quickly over the network without the need of user intervention by exploiting vulnerabilities in software. Screenlocker: A type of ransomware that only locks the user out of his/her data without encrypting the actual files and directories.